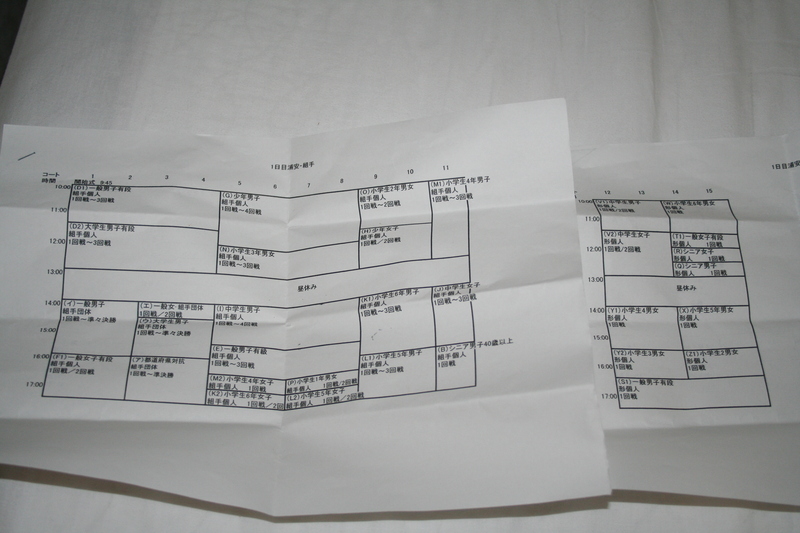 Arakawa Sensei (Shiramizu) photo copied this running order schedule for me for Saturday’s JKF-Wadokai National Champioonships. This entry was posted on August 20, 2010 by hartlepoolwadokai. It was filed under Uncategorized and was tagged with Japan, JKF-Wadokai Nationals, Takamasa Arakawa Sensei.